To complete the PRINCE VALIANT comic strip series, by publishing and/or uploading in the Internet the missing strips dating from October 24, 1979 to December 28, 1997 (a little more than 18 years, from 1980 to 1997). You wrote: "to October 17, 1979", but the last page in Vol. 50 of Fantagraphics is from August 17, 1980 (2271). Thank you Mr. Henares for starting this petition. Have been following this for a long time. Whereas, the names of John Cullen Murphy (artist) and his son, Cullen Murphy (script), are not even mentioned in this petition. :/ Two decades PV work we are speaking of is their deed and I hope that this huge injustice will finally be undone! Good luck. Would love to see this done well! Please eliminate the time gap. please give in to the request of my grandfather. We spend as much here as we did in the UK heating our home in the winter months, I am sure those living on the coast don't have the extremes of weather however we do. 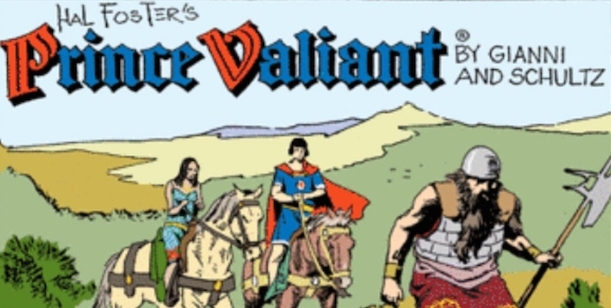 Its about time we get the entire series of prince valiant.